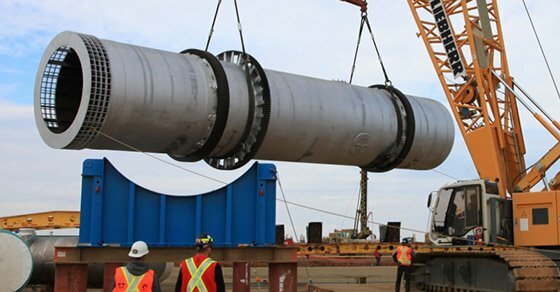 Rotary dryers have a long history in many industries, but perhaps most notably, in the fertilizer industry, where they are an essential component in processing minerals for fertilizers at mine sites, and for producing many of the fertilizer products on the market today. Most fertilizers begin as mineral components which must be mined and processed in order to be used as a feedstock for fertilizer granulation. This typically involves some sort of beneficiation process, which differs depending on the mineral and the form that it’s in, but almost always involves a drying step. It may seem counterintuitive to dry minerals only to add moisture back in during the granulation process, but drying serves two important purposes in this setting: feedstock preparation and reducing transportation costs. In order for granulation to be effective, feedstock components must fall within a given moisture range, which varies depending on the process being used and the characteristics of the material. This moisture range allows the feedstock to accept additional moisture in the form of a liquid binder, which serves to aid in granule formation and achieve the desired end product crush strength. When product will be shipped to the processing plant, drying also helps to prevent caking during transport and storage. In addition to preparing the feedstock for granulation, drying also reduces transportation costs, allowing more product to be shipped per unit as a result of the reduced moisture content. Shipping any type of product that is moisture laden is inefficient, as the shipper is in part paying to transport water. Removing that water content makes shipping much more efficient and cost effective. Rotary dryers can accommodate a very high throughput – up to 300 TPH in some cases. This is often an essential requirement at mineral processing sites where production capacity is often one of, if not the, top priorities. Working with minerals often means that variation in aspects of the feedstock, such as particle size or moisture content, is all but guaranteed. Unlike some other dryer types, rotary dryers are largely insensitive to such variation and can continue to produce uniform results despite it. Rotary dryers are also essential in the production of granular fertilizers and are capable of processing everything from a single nutrient product such as ammonium sulfate, to a complex fertilizer integrating multiple nutrient sources. Drying within the fertilizer production process is important for a number of reasons…. Just as with transporting minerals and ores, reducing the moisture content of a fertilizer product reduces the shipping costs and makes shipping more efficient. While reaching a target moisture range or even an exact percentage is a requirement of many bulk solids drying operations, it is especially important when it comes to fertilizers. 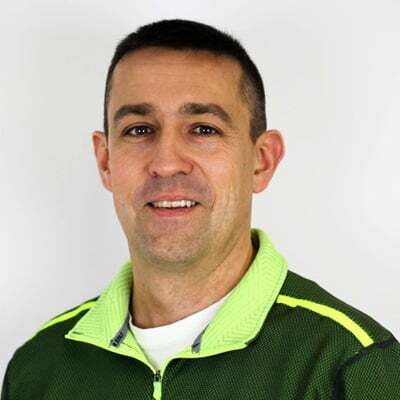 Target moisture can affect product handling and performance in a number of ways. This might include caking issues, product breaking down too quickly, and issues with uniformity in spreading and application. Rotary dryers are the preferred choice for drying fertilizer granules for several reasons. 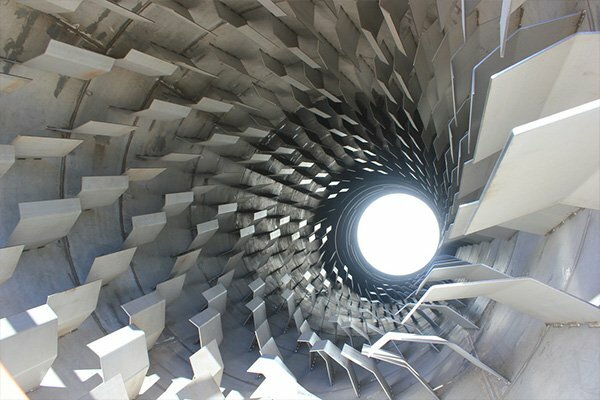 While variance to feedstock isn’t as much of a concern in processing fertilizer products as it is with processing minerals, not surprisingly, the high-capacity capabilities of the rotary dryer also play a role in its use in the fertilizer production setting as well. Rotary dryers also offer one other key advantage when it comes to processing agglomerates: their ability to polish granules. The rotational tumbling motion that occurs within the rotary dryer actually works to polish granules, breaking off loose edges and reducing dust generation. This is especially true of granules created in the roll compaction process, which have rough, jagged edges that are prone to rubbing together and breaking down – a phenomenon known as attrition. Even with more spherical granules, polishing further rounds the particles, creating a premium product. 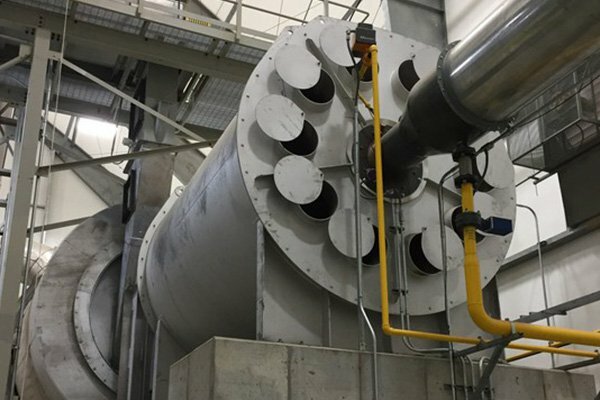 In addition to the benefits already listed, rotary dryers are also an attractive option because of their simple operation and the already-prolific adaptation of rotary drum technology in fertilizer production. Rotary drums are used throughout the production facility to perform various objectives, including granulation, coating, and cooling. This means operators are often already well versed in the technology. In the fertilizer industry, rotary dryers can range in size from 3’ – 15’ ( 1 – 4.6m) in diameter. The precise design of a rotary dryer is dependent on the unique characteristics of the material to be processed. This can result in a variety of different configurations and customizations. When drying potash, for example, a co-current air flow is utilized to avoid the discoloration that could occur in a counter-current configuration. Some materials may demand that the inlet section of the dryer is coated or constructed with a corrosion-resistant material. Rotary dryers used in fertilizer production are sometimes fitted with a trommel screen or “grizzly,” as shown in the image below. Granules can sometimes stick together, forming large clumps. This screen-like ring is affixed to the discharge end of the rotary dryer and helps to break up any lumps that may have formed so the particles exit the dryer on-size. Trommels can also be used as a means of screening material. Knockers are often utilized on the front section of the dryer to deter buildup. Knockers serve to dislodge potential buildup by knocking the drum from the exterior, while a wear plate protects the drum. Combustion chambers are also frequently employed with dryers that will be processing fertilizer products. Combustion chambers allow the flame to be kept separate from the material being dried. Some materials can degrade if exposed to a direct flame. The combustion chamber can also serve to reduce fuel consumption of the dryer by promoting a more complete combustion of the fuel. Flights, or the material lifters used to pick up and drop material through the stream of hot air to maximize heat transfer efficiency, are a standard feature on rotary dryers. However, the design of the flight and the pattern in which they are affixed to the interior of the drum can be very customizable to suit the needs of the exact material characteristics. Rotary dryers are a cornerstone of fertilizer production, be it in producing the actual granules, or preparing the mined ore for use as a granulation feedstock. These robust industrial drying systems are preferred for their high throughput, tolerance to variation in feedstock, ease of operation, and their ability to polish granules. They are also incredibly customizable, allowing dryers to be designed for optimal performance in working with the material’s characteristics. 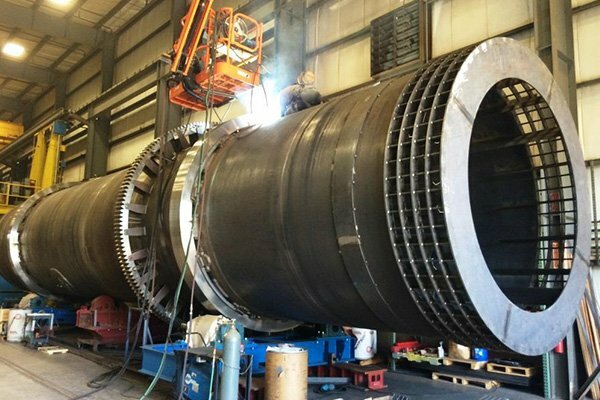 FEECO is a leader in custom rotary dryers and has been providing the industry’s best dryers since 1951. We also offer a unique batch and pilot testing facility – The Innovation Center – where drying, as well as granulation, can be tested for various minerals and fertilizer products. For more information on our custom fertilizer dryers or feasibility testing, contact us today!